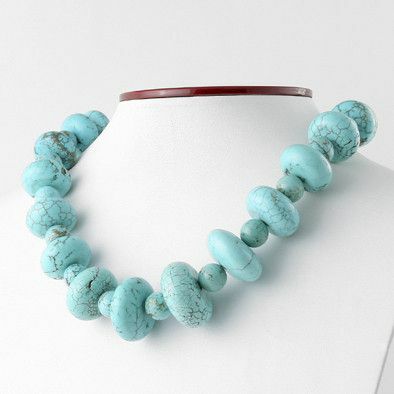 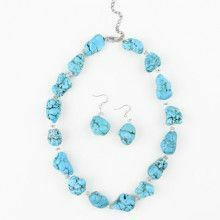 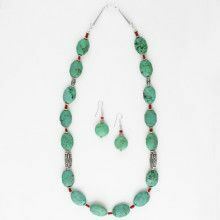 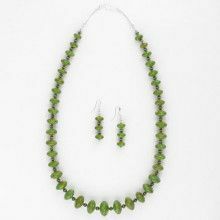 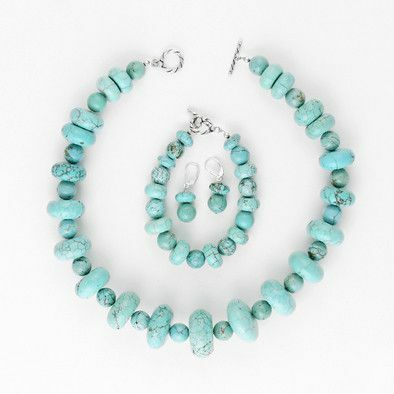 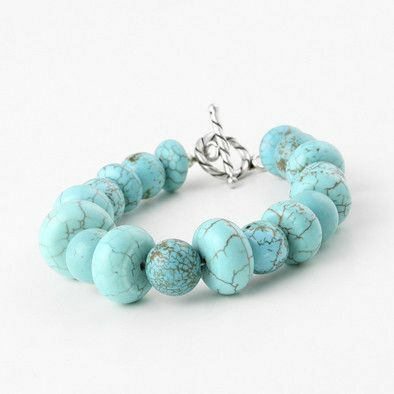 This large 100% Natural Turquoise Set includes one 8" bracelet, a set of 1 1/2" long earrings, and an 18" long necklace. 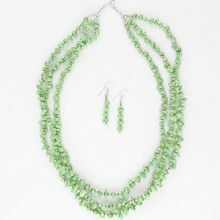 The necklace is adorned with big and beautiful "veined" beads ranging from about 1/2" to 1 1/4". 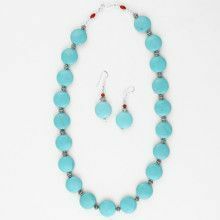 This blue/green necklace is ideal for those who like large, chunky jewelry and genuine gemstones. 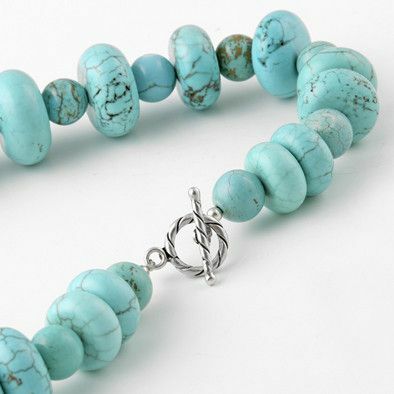 Completed with modern sterling silver toggle-bar closures. 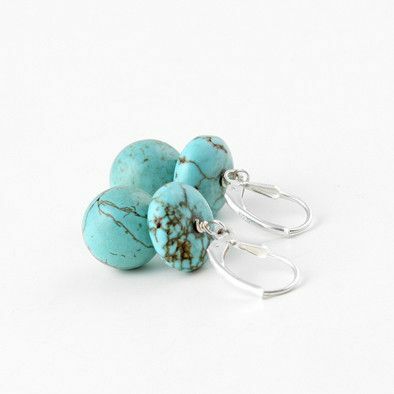 Earrings: 1 1/2" x 1/2"